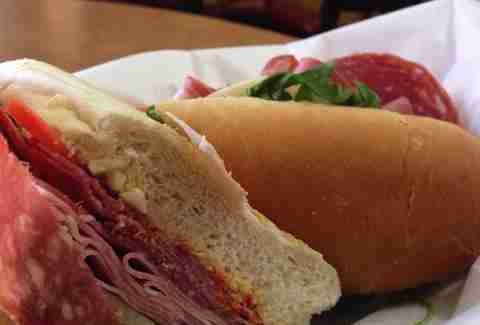 Sure, Bay Cities' Godmother is probably the best Italian sub in LA. But if you're not in Santa Monica/are in Santa Monica but don't want to deal with a line BUT DO STILL WANT A DELICIOUS ITALIAN SANDWICH, we've got you covered. 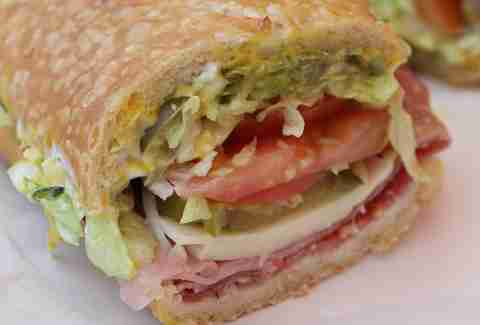 Here are LA's eight best hoagies that aren't The Godmother. 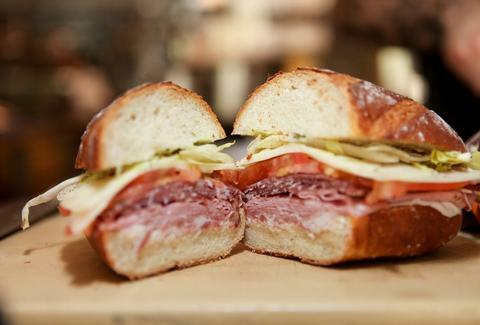 Rocco's "Il Rocco" in Los Feliz is the undisputed Eastside Italian champ, a mustache-friendly hoag loaded with your usual suspects (mortadella, capocollo, soppressata, provolone). What sets this hero apart, though, is a layer of arugula, giardiniera, and prezzemolo spread (aka fancy lettuce, pickled vegetables, and parsley spread). The sharp bite from all three ingredients gives the sandwich much-needed balance, and -- ironic! -- it looks great when spilled on a child-sized NBA jersey from the '90s. 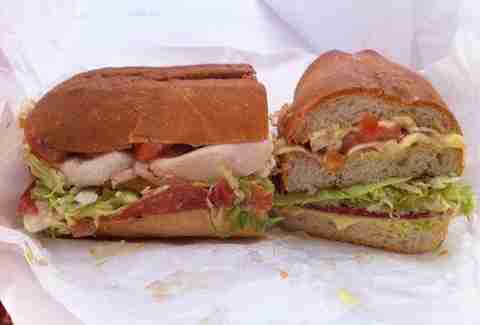 Even Glendale gets in on the sub-love with Mario's, where two slices of bread do not make a sandwich. Order the Submarine Combo (or its hot cousin, the Spicy Combo), and you get a Big Mac-style triple-decker that's only going to fit in your mouth after a major smushdown (note: not a sexual act... but it probably should be). Think of Scarpetta as the restaurant version of a superhero. By night, it's a flashy Italian restaurant serving $24 spaghetti to wealthy B-Hills widows. By day, it's a friendly sandwich shop, and Chef Freddy Vargas is serving his Padrino Hero to anyone smart enough to come in. 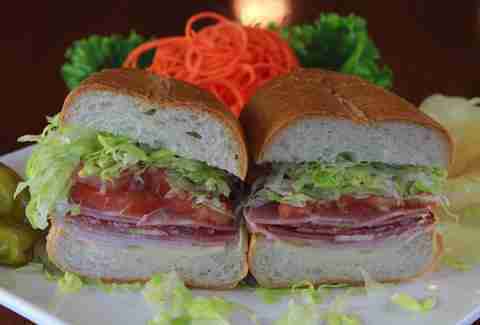 Prosciutto, mortadella, salami, and provolone come dressed with an Italian vinaigrette that gives the sandwich the perfect amount of tangy zip. Let's see, it's got spicy capocollo, mortadella, prosciutto di Parma, ham, Genoa salami, and provolone. That sounds a heck of a lot like the... what's that? It's called The Godfather? Ah. Clearly someone at All About The Bread took a visit out to Santa Monica, then recreated the original bad-boy and saved a shload of people a long drive. You want OG? That's Eastside Market, open since 1929 near Chinatown in what used to be LA's Little Italy. 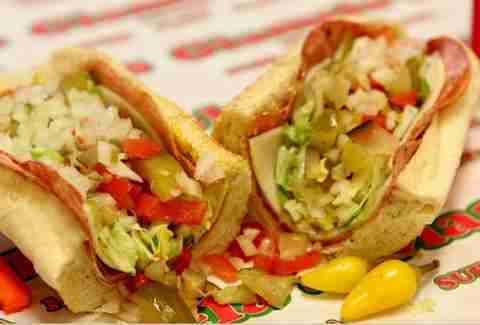 Its Cold Cuts and Cheese Combination may not have the most eloquent name, but it does the job with the classics on top of a fluffy Italian roll, with the added hope that “aged provolone” here doesn't mean “since they opened". Top Chef winner Michael Voltaggio is known for taking classic ingredients and turning them on their head, and The Jose Andres -- aka “The Spanish Godfather” -- is no exception. 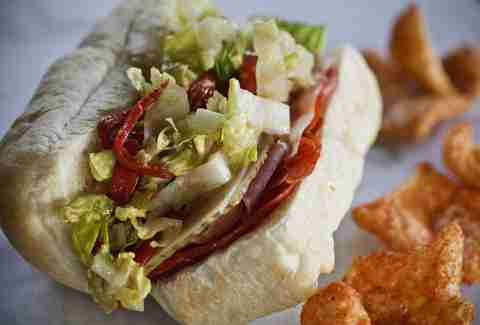 Unlike the rest of this list, it's not technically Italian, but rather a Spanish interpretation of The Godmother with Serrano ham, thin slices of chorizo, manchego instead of provolone, and spicy, vinegar-tinged peppers. Bueno? Buona? Yes. 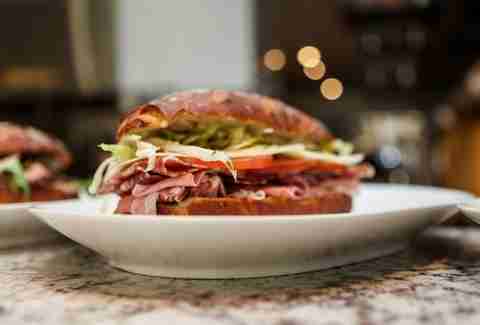 Culver City may not be known as an Italian sandwich hot bed, but this sleepy little market has been serving up some of the cheapest Italian subs around for years. The best part? 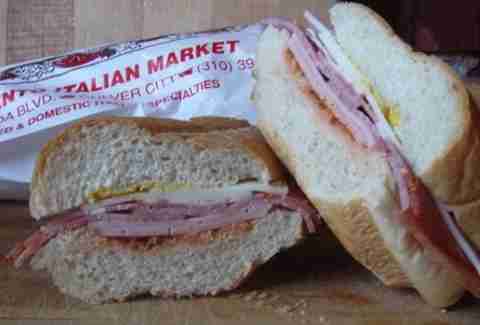 The Combination (cotto salami, mortadella, capocollo, and provolone) will run you a measly $3.25 for a regular and $4.95 for a large. Is Sorrento the Italian word for "time machine"? Is this 1988? Word of warning: they use marinara as a condiment here, so tell 'em to leave it off if that's not your cup of espresso. Jason Kessler is a food and travel writer and the creator of Fly&Dine. Follow him on Twitter and follow @FlyDine for the latest in foodie travel news.